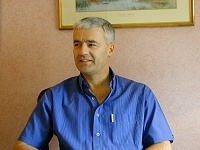 On many sites this might be called the 'bio' page, but if you are wondering who is this Gavin Rowden, this page might help. Huge developments in electronic communication are changing our world; some might say far too quickly. A site like this would be have been barely thought of twenty five years ago and inconceivable when I first began my family history research. However, over recent years initially with the advent of email and then through this website, I have made contact with many distant Rowden relatives. Distant, both geograph- ically and in terms of generations. More recently I have had the benefit of meeting a number of those email originators but many are names in a database or address book. For those who I am unlikely ever to have the privilege of meeting, this page allows you to find out a little more about the author of the Rowden Surname website. 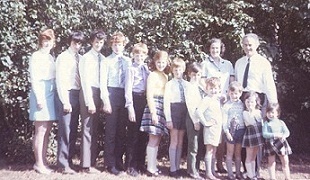 I was born in England the second of what would subsequently be twelve children, so for me large families had to have numbers of children in double figures at least. My family roots are in Devon, England and some thirty years ago I discovered a torn piece of paper in my late father's handwriting showing a brief family history indicating individuals by initials. I attempted to fill in some of the names and managed most but there were a few I didn't know and a few (I later discovered) were incorrect anyway. Now, thirty years on, more and more names are being added and the piece of paper is considerably larger! After schooling, I trained as an Aeronautical Engineer serving an undergraduate apprenticeship in the aviation industry. Shortly after completing my apprenticeship I was selected for pilot training by British Airways and qualified two years later. I flew firstly in General Aviation as an executive pilot and then for the next thirty years with a major UK charter airline including training and management responsibilities. I live in the UK with my wife. Our four children are all married and we have six wonderful grandchildren. Now retired, much of my spare time is taken up with maintaining the house and garden, family history, exercising, rowing, church and flying.